(P1) Airbnb is quickly becoming a crucial company within the travel sector and may even become the fourth largest online travel company by the end of this year, according to research firm Phocuswright. (P2) Looking at news and reports on the company’s business performance and funding, Phocuswright has built its own estimates for Airbnb that indicate the company’s gross bookings for 2015 valued at around $7.5 billion. (P3) This, in combination with the website’s continued growth, could put it behind the three major travel companies of Expedia Inc, Priceline Group, and Ctrip, when it comes to gross bookings. Phocuswright’s research also found that one in three travelers from the United States stayed at a home-based unit last year, a sharp increase from the one in 10 American travelers that were staying in these types of accommodations back in 2011. (P4) Airbnb has been looking to expand its services beyond rentals to tap into increased travel experiences for its users, with the most recent news indicating a travel app they were testing out for a possible release this November. (P5) Though the test version was pulled from the Google Play Store this Tuesday, some possible features the app could include are detailed travel itineraries, city guidebooks, and local listings like happy hour deals. (P6) According to Bloomberg, the company secured a $1 billion debt facility in June of this year towards its expansion, working on features like its “magical trips” to offer users restaurant services, art tours, meals made by personal chefs, bicycle rentals, and more. Do you use the internet to make travel arrangements? Why or why not? Why do you think people like staying in homes of other people that they don’t know? Would you stay in somebody else’s home you didn’t know them? Why or why not? Phocuswright predicts Airbnb will occupy which position among online travel businesses? 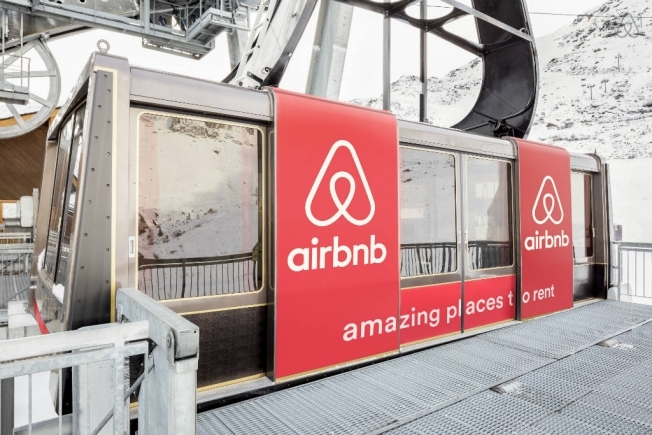 Which online travel companies are forecasted to still be ahead of Airbnb in ranking? * I want to receive my class every day – Keep reading and practice your English every day.